Want to be notified of new releases in nassir-malik/IOT-Pi3-Alexa-Automation? Use Raspberry Pi 3 as home automation device with Alexa. This project allows you to control multiple devices connected to Raspberry Pi 3 with voice command. You are able to control GPIO pins thus control GPIO connected devices. Connect mini-sd card to a computer. In windows explorer right click your sd card drive letter and click on format menu. 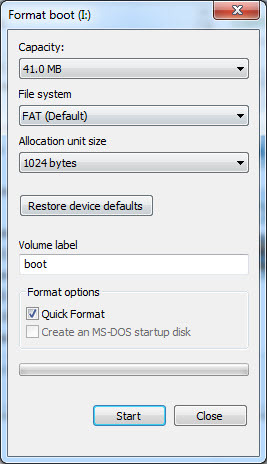 In format window select "FAT" in "File System" list and click start. Wait for the task to complete. Once image writing is completed, Copy "ssh" (ssh file is empty) and "wpa_supplicant.conf" files to root of the sd card. Open "wpa_supplicant.conf" in text editor and update ssid (wi-fi name) & password. In windows go to run & type "cmd" and type arp -a in command prompt. Look for "Physical Address" that starts with b8-27* & note the Internet Address. This is your Raspberry Pi3 Wi-fi IP address on your network. Run "Putty.exe" and type IP address in host name field and click start button & click yes to popup. On putty command line type in "pi" for "Login as:" & enter. For password enter "raspberry" and hit enter. You should see "pi@raspberrypi:~ $" prompt. 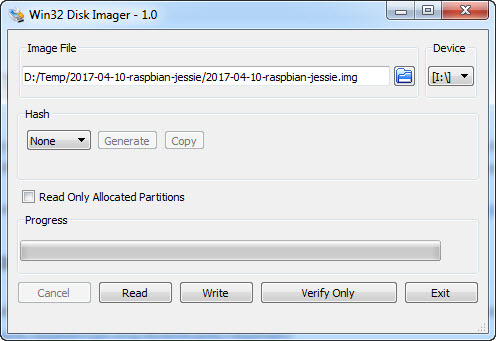 Type "sudo raspi-config" and go to "Interfacing Options" and enable VNC. Reboot pi3 by typing this command "sudo reboot". You will loose ssh connection. (Optional) download and install VNC client on youe pc https://www.realvnc.com/download/vnc/windows/. Connect VNC to Respberry Pi3 using IP address. Login with user name "pi" and password "raspberry". You should see Pi3 desktop. Download this github project as zip file with following command "wget https://github.com/nassiramalik/IOT-Pi3-Alexa-Automation/archive/master.zip"
Give voice command to Alex to discover devices "Alexa discover devices" it will search your network and discover your Raspberry Pi 3 as an IOT device.